I like sweets, and when they’re hanging around the house, I have a hard time eating just one. 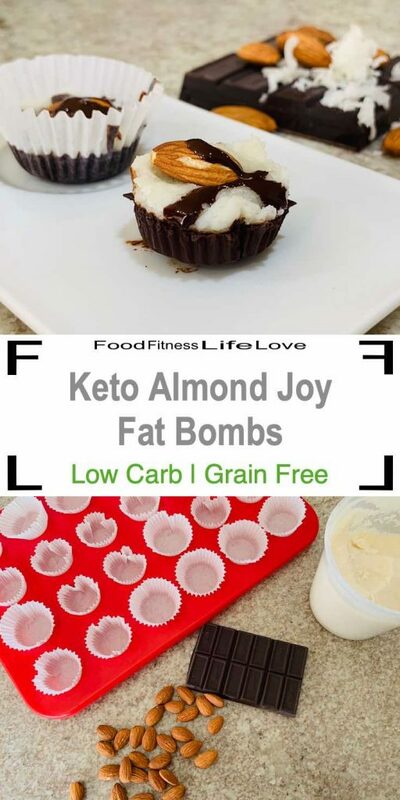 The first time I made these Keto Almond Joy Fat Bombs was around Halloween, and I needed a good choice available when I wanted some candy. 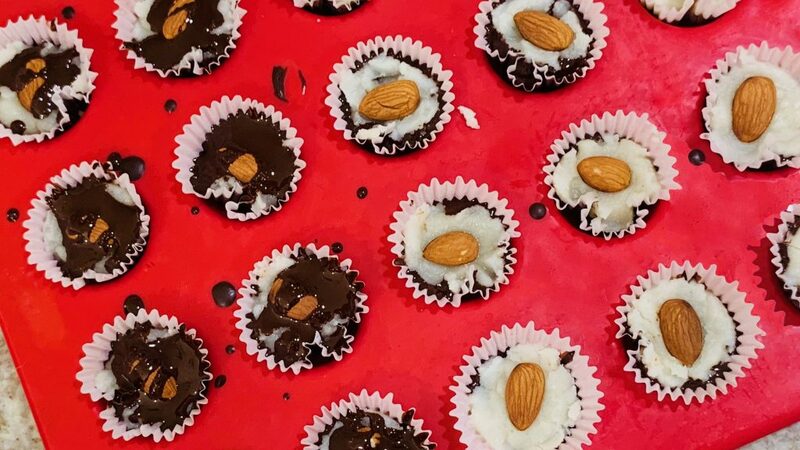 You’ll love these treats inspired by Almond Joy candy. Chocolate, coconut and almonds are a delicious combination. I buy unsweetened chocolate so I can sweeten it myself. There are a lot of sugar alternatives out there. I like stevia, and Truvia is the easiest to find at my grocery stores. By sweetening the chocolate yourself, you can make it exactly to your taste. 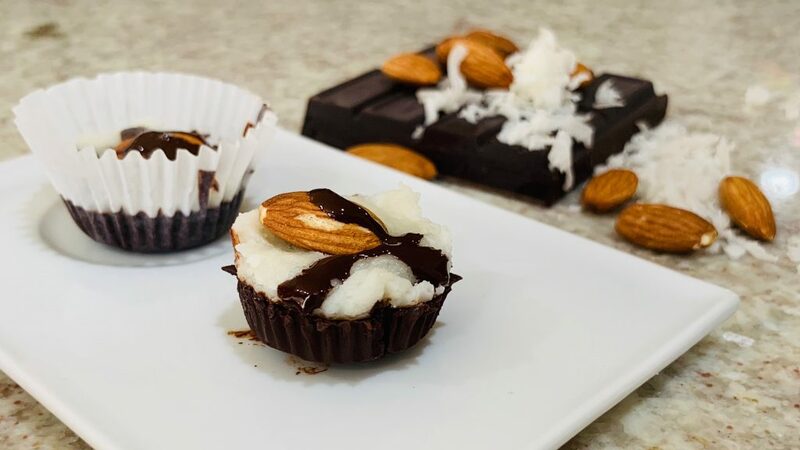 I make my Keto Almond Joy Fat Bombs in a mini cupcake pan. I find it makes the perfect bite size treat. 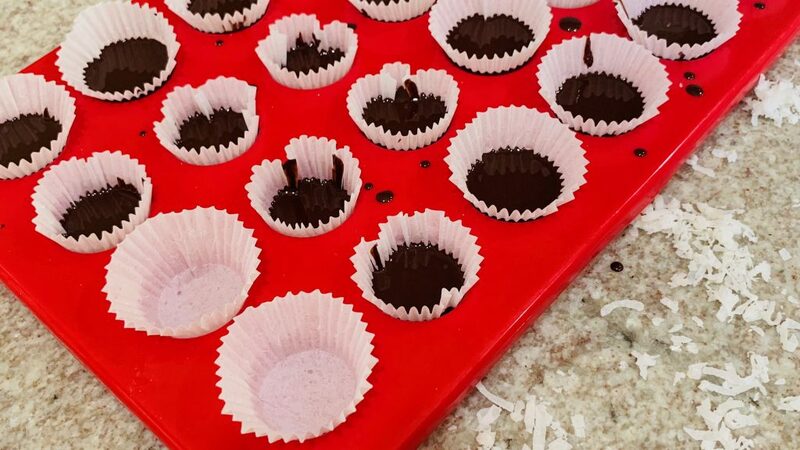 After melting the chocolate with coconut oil and your sweetener of choice, put some in each liner, about 1/3 full. Don’t use all the chocolate, you’ll want some for drizzling at the end. Then, put the pan in the freezer for the chocolate to harden. While the chocolate is hardening, make the coconut filling. I used coconut butter and heavy cream, with a little more stevia. 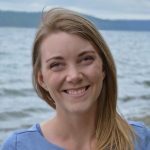 You can buy coconut butter or make your own at home. To make your own, all you need is unsweetened coconut shreds. I find mine in the the bulk section at the grocery store. Blend the unsweetened coconut in a blender until a smooth butter forms; the consistency is similar to peanut butter. The coconut filling is done when it looks like a sticky dough. It only takes a couple minutes on the stove. Divide the coconut filling evenly between all the candies. Spread the filing to the edge of each liner to make an even layer. Put one almond on each candy and drizzle with the remaining chocolate mixture. You can put the finished candies back in the freezer to harden the chocolate drizzle, for just a couple minutes. 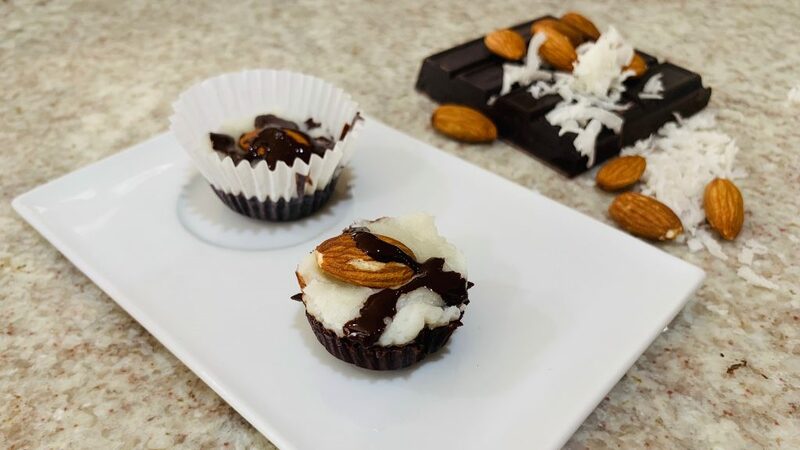 These Keto Almond Joy Fat Bombs are delicious. Enjoy them immediately or keep them in the refrigerator for later, in an air tight container. 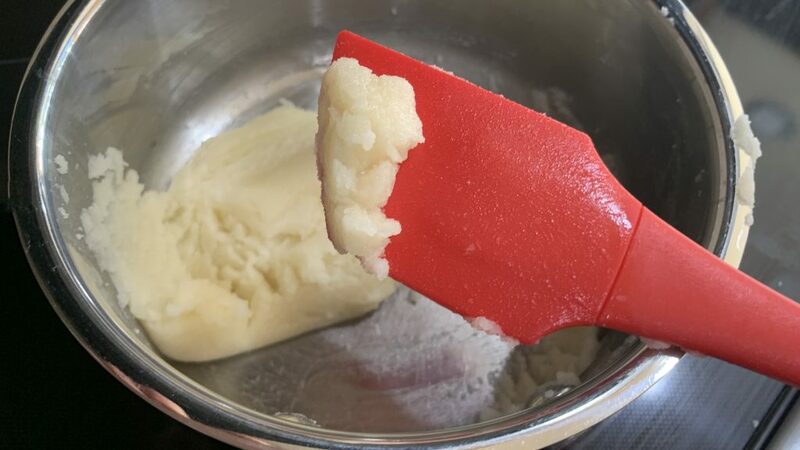 In the refrigerate, the coconut filling will get hard when it’s chilled, so let them warm up for a few minutes if you want the filling softer. They’re also great for parties; just set them out on a nice platter. In a microwave safe bowl, heat the chocolate, coconut oil and 5 teaspoons of sweetener in the microwave for 30 seconds at half power. Stir. Repeat in 30 second intervals, stirring in between until the chocolate is melted and all is thoroughly combined. 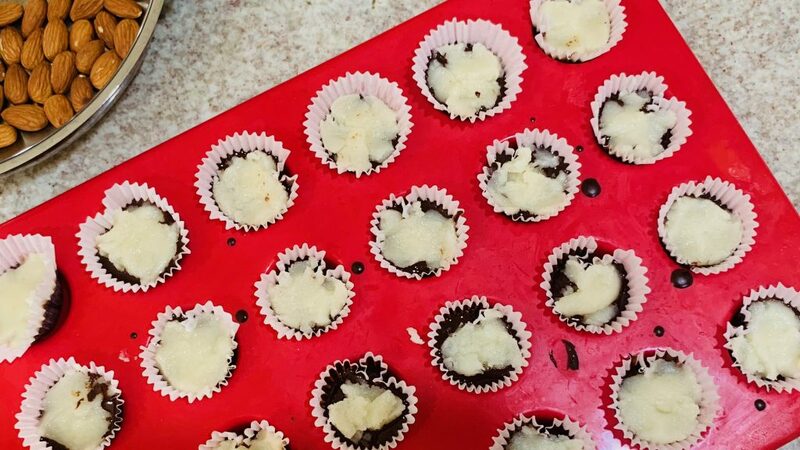 Put 1 1/2 teaspoons of the melted chocolate mixture into each cupcake liner. 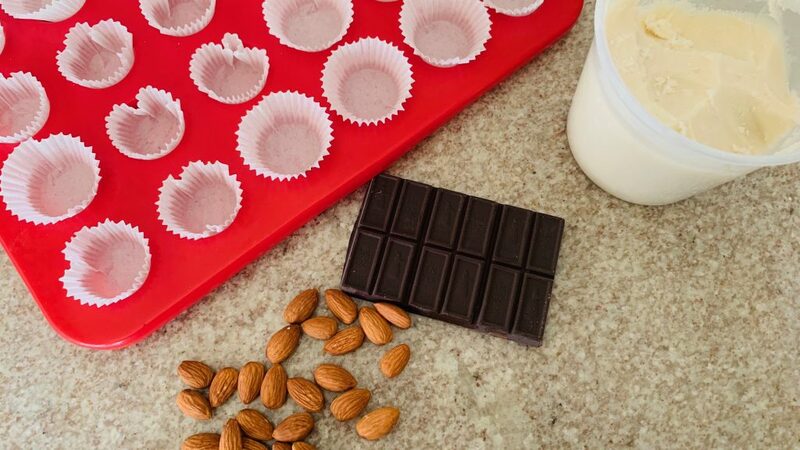 Place the filled mini cupcake pan in the freezer for 7-8 minutes until the chocolate is hard. 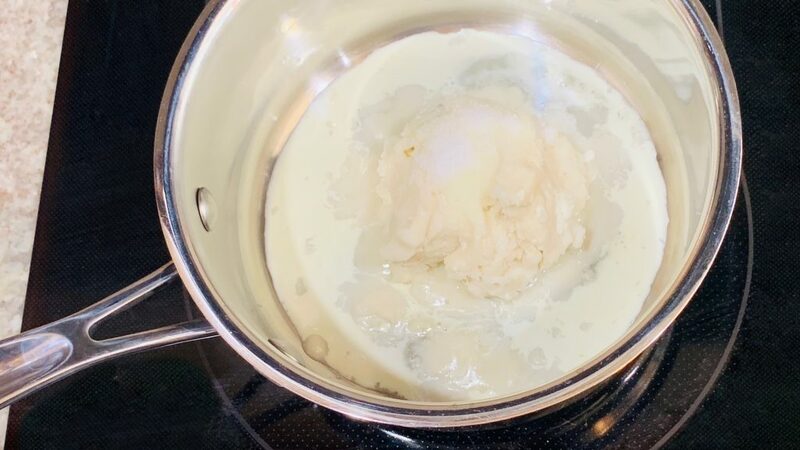 While the chocolate is hardening, add the coconut butter, heavy cream, and remaining 1 teaspoon of sweetener to a small saucepan. Heat on the stove top over low heat, for about 2 minutes, stirring to combine. Once the chocolate mixture has hardened, remove from the freezer. Top the hardened chocolate with coconut mixture, distributing evenly about 1 teaspoon each. Spread the coconut to the edges of the cupcake liners to make an even layer. Press 1 almond gently into each candy and drizzle with the remaining chocolate mixture. 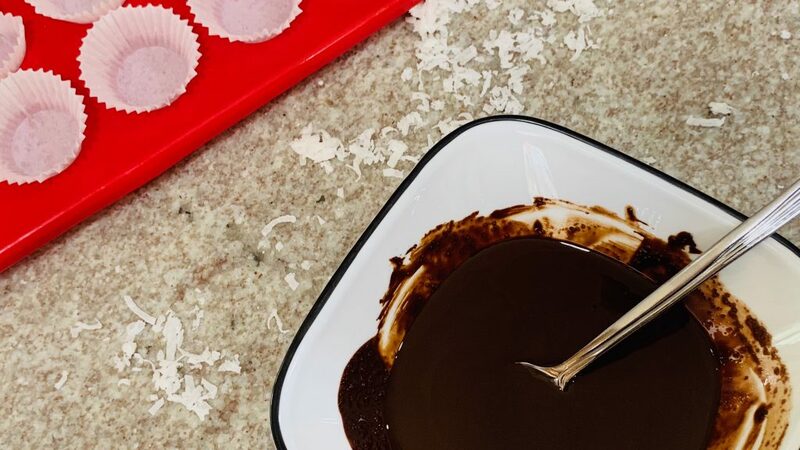 Return the filled mini cupcake pan to the freezer for the chocolate drizzle to harden, 2-3 minutes. Enjoy!! You can keep any extras in the refrigerator in an air-tight container.